As the saying goes, all good things must come to an end, and that's no different when it comes to summer vacation. The muggy dog-days of August summer bring heat and humidity, but the stifling weather is also a sign that the summer is winding down and soon kids and teachers alike will be returning to school. There's a lot to catch up on between now and September, both in terms of maintenance and personnel. Every good educator knows that leaving a project until the last minute isn't wise if you want to produce the best results, so now is the time to get caught up on any last-minute back-to-school prep tasks you may have overlooked in the midst of your summer doldrums. Here are a few things to make sure you have taken care of before the first bell of the year rings. Every kid's worst nightmare is just around the corner - is your building prepared? The last few weeks of August are prime time for teachers putting the finishing touches on their first-week plans. All your staff members will need to have their curricula and administrative things in order before the doors open. This means that, among other things, classrooms should be set up. While teachers tend to largely guide their own preparation efforts, as an administrator, make yourself available if there are any last-minute issues that need attention. For example, if a classroom is missing desks or needs other supplies like chalk and erasers, coordinate efforts between your maintenance teams and your teachers to ensure that the right materials make it into the correct hands. It may also be prudent to encourage your teachers to give their classrooms a thorough once-over prior to the beginning of the year. This way, any maintenance issues can be found and addressed before the room fills up with students and such tasks become immensely more complicated. Of course it makes sense to pay extra special attention to the areas of your school that see the most use during the year, as these are the most likely to need some last-minute summer repairs. In addition, perform a full inspection of any essential infrastructure, such as your HVAC system and plumbing. 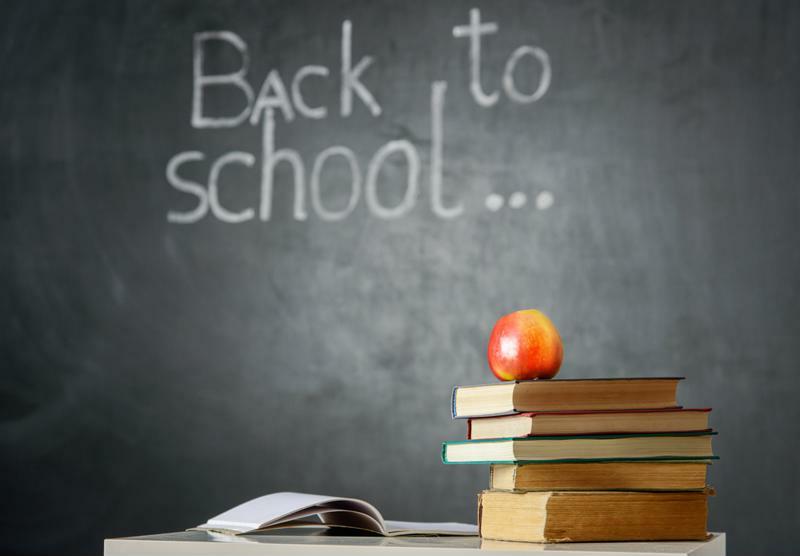 Performing careful preventive maintenance in the weeks leading up to back-to-school can save you valuable time and, of course, money later. Coordinating corrective maintenance efforts and inspections may be tricky, especially in a larger school. A facility management solution such as a CMMS may be a worthwhile investment so you can begin the year on solid ground maintenance-wise. "Make sure your playing fields and other grass surfaces are properly mowed and landscaped." While you're going over every inch of your school, don't overlook the outdoor elements of your building as well. Playground equipment should be inspected to make sure there are no broken components that could cause injury. Similarly, make sure your playing fields and other grass surfaces are properly mowed and landscaped in preparation for autumn aeration. Also pay close attention to your parking lot and pickup/drop-off zones. These areas see lots of student foot traffic, so you'll want to do everything you can to make sure they're as safe as possible come September. One area that has seen tremendous growth in schools over the past few years is IT adoption. Schools all across the U.S. are integrating additional hardware, software and cloud-based solutions into everything from administration to lesson planning. While your students are all busy getting their back-to-school makeovers, why not take this opportunity to offer the same treatment to your schools IT infrastructure? Ensure your buildings bandwidth is capable of handling the recommendations put forth by the U.S. Federal Communications Commission. You can also apply for grants through the FCC's e-rate program if you need additional financial help in this regard.